Salutations babes. 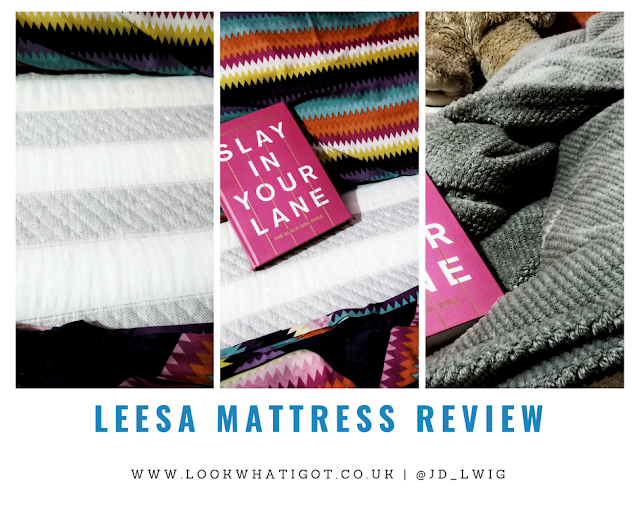 I am back with another review post, and this time it all about homeware, more specifically about my new mattress from Lessa. Leesa's mission is to help people sleep better. Pretty simple right? 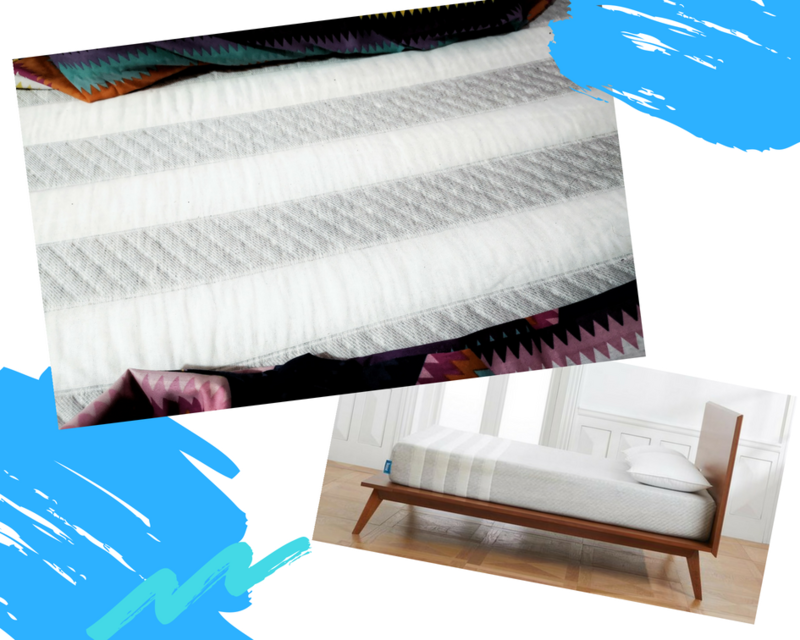 Many companies struggle to get the fundamentals right when creating a mattress and I have to say, with someone with back and posture problems ( blame years hunching over a laptop- I am a millennial sue me), I have enjoyed sleeping on this mattress. Like drool on the pillow enjoyment! TMI? 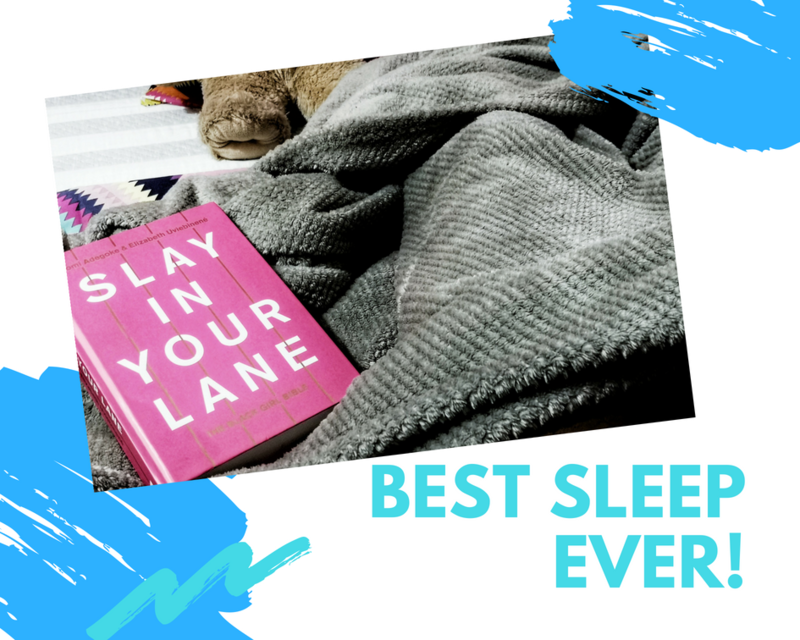 My bad, but if you are looking for a good night sleep find out why this mattress is for you. I was gifted the Single Mattress, from Leesa, as I have a single bed. (Sidenote, use my discount code IMLOOKWHATIGOT1 for £100 off). The mattress is beautifully designed and engineered with three premium foams for cooling, body contouring and pressure-relieving core support. The Mattress comes wrapped up flat, in a rectangle box. To set it up you position the mattress on your bed frame, cut away the plastic covering and the mattress inflates slowly. I wish I recorded it, but placing the mattress was so easy and high tech. 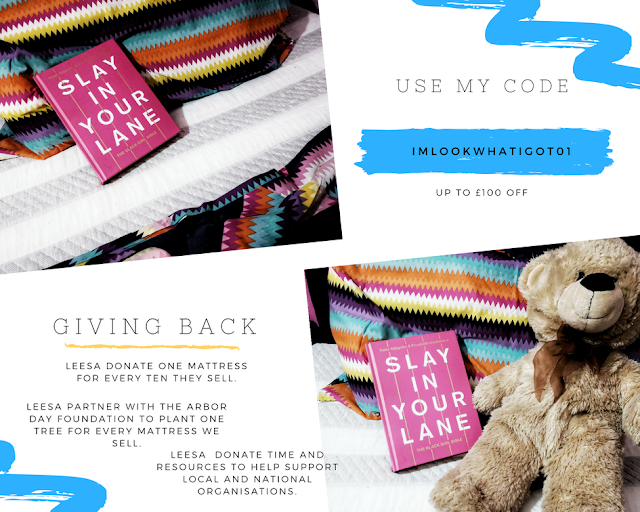 Leesa is ahead of the game, they donate one mattress for every ten they sell. The thing about Mattresses is you either get a hard, medium and soft mattress. Which tbh, is never good for your back! Specialist mattresses cost a bomb and that isn't something I can afford! At £399 for a mattress, I feel it is a great investment if you are struggling to have a good nights sleep. The only thing I wish is if the mattress would come in different colours or if you could upgrade the mattress if you upgrade from a single to a double for example. Even though the mattress is soft, you can really feel that it is supporting your back. I used to overheat on my mattress, but the material is really cooling and doesn't cause irritation. I normally have lower back pain, with my old mattress but this has greatly reduced. I really like that you get a 100-night free trial to really test the mattress. All in all, I am enjoying the Leesa Mattress. Thanks guys!!! Leesa Sleep Ltd have provided a product for review, and as such are a ‘sponsor’ of the content. That Leesa Mattress sounds delightful to rest, nap or sleep on, and easy to manoeuvre into the house and up the stairs. Is there anything in your bank statement you wish to edit? Maybe these designers can help you with it. Check out the services they provide. nice informative post you shared, thanks for the blog.......like it the way you described. Hire the best essay writing service provider in Australia and let your essay written by top essay writers. Know more about essay help. Essay Writing Help is needed by every student at some point while working on their essay and assignment writing task. For them to get the best and right help the students must contact Assignment Help 4 Me and Hire Online Essay Writers. 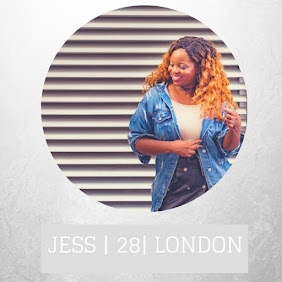 Stunning blog. I am pretty much pleased with your good work if you want to essay help then I found a trust-able company that is Myessayhelp it is number one essay writing company. They help students and write for them any kind of essays with cheap price. MBA is one of the most popular fields of study in the United Kingdom and with every passing year, it is seeing a considerable amount of growth in the number of enrollments. Experts believe that the boom in the world of business has created a void in the job market, providing job opportunities to the potential MBA students who desire to become successful business personnel in the future. MBA dissertation help team are always available for student help. Jailbreak ios 11 we are going to disclose to you the total procedure by which you can introduce Cydia in your gadget. Stunning information. I would to like to thanks for given this valuable information. expatriate management at astrazeneca provides necessary flexibilities that are required for the expats to achieve a work/life balance. tweakbox App is an extraordinary third party app store that encourage you to download and install unlimited applications for free on android and iOS based devices such as iPhone, iPad and iPad Mini. Mattress looks good and reliable. For how much price this is available and do the price is negotiable if I place bulk order for my dissertation writing services office? The second positive aspect of Assignment Help Online is that they are available 24*7 to you. No matter what the time is or what the situation is they are ready to help you anytime. So the student can take their help anytime. Thank you for posting such a great article! Are you struggling with your management assignments? Annex our professional assistance and yield better grades in your assignments. You can easily access our online management assignment writing help anytime.